Beer Month is here, and we have a list of seasonal beers for you to try. Aviator Brewing Company&apos;s seasonal spring/summer ale is a Belgian-stye beer produced with pilsner malt, mid-kilned malts, coriander and sweet orange peel. Aviator, which began in an old airplane hanger, is located in Fuquay-Varina. Big Boss Brewing Company produces a Belgian white ale, a traditionally spiced ale with with a dry, thirst-quenching finish, perfect for a Raleigh spring. Special seasonals are also served in the taproom. Bombshell Beer Company, one of North Carolina&apos;s first female-owned breweries, located in Holly Springs, brews up several specialty beers in the tap room. The list is long, and the taps are always changing. Abund N.C. IPA has big notes of tropical fruit that burst open in the aroma from the 7 C&apos;s hops, while Chinook hops contribute bitterness and a slight piney flavor in this double IPA. The taps are always changing at Draft Line Brewing Co. in Fuquay-Varina. Each week, the brewery serves up a weekly limited release. This week it&apos;s English Honey Nut Brown Ale. There will be something new every week during Beer Month. Sub Noir Brewing Copmany calls this beer a funky Belgium saison with New Zealand hops. Here the beer list is on a blackboard, and there will be something for everyone&apos;s taste buds. Just in time for Beer Month and throughout the hot days of summer, this Raleigh Brewing Company American wheat ale uses citrus and lots of it. The brewery adds two pounds of blood orange peels into every batch. 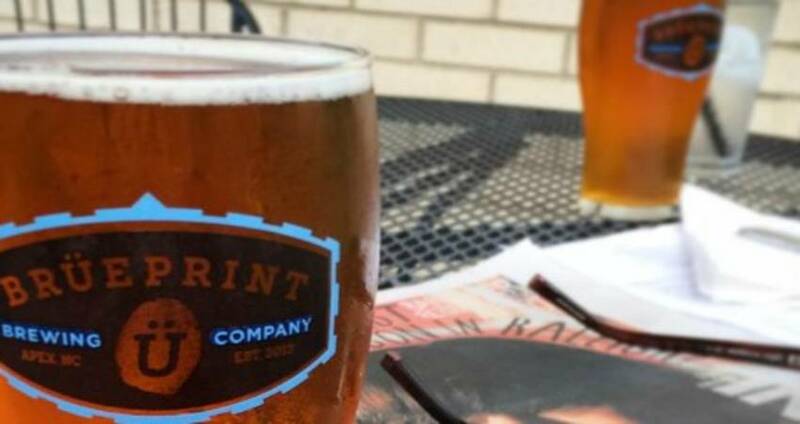 Brüeprint Brewing Company in Apex developed an India Pale Ale to celebrate baseball season. The Brüe Diamond is available now through the World Series in Oct. And don&apos;t forget the single-A Carolina Mudcats, who play at Five County Stadium in Zebulon and open their home season on Apr. 9. These are just a few of the seasonal brews made in the Raleigh area. Which one&apos;s your favorite? Remember, there are 18 wonderful breweries here, so visit as many as you can while you&apos;re in town to get a taste of each. Two signature events in downtown Raleigh will put most of the breweries in one place for you to taste as many as you can in one day. World Beer Festival Raleigh will be held in Moore Square on Apr. 11, and Brewgaloo will be held on Fayetteville St. on Apr. 25. Check out the Raleigh area&apos;s Beer Month events calendar so you won&apos;t miss a thing. Raleigh is the place to be this spring.